It is the second week of April 2016 and most of the United States is experiencing mild temperatures. The northeast part of the country would say otherwise, as they are seeing some snow on the ground. The best in free mp3 download sites has a review in store for everyone and to also cheer up those of you that are stuck indoors because of the cold weather. J. Armz releases the March Edition of the collection labeled “Rap&B”. This DJ doesn’t give you all the same music that is currently in rotation, but still plays you records that would be considered hits. As the title would suggest, this release contains a mix of hip hop and r&b with new songs by artists such as Beyonce, B Smyth, Young Thug, Kevin Gates, Joe Moses, Berner, PnB Rock, Rich The Kid, Niykee Heaton, Jose Guapo, Rockie Fresh, Jeremih, A$AP Mast, D Double E, Nef The Pharaoh, and much more. You will notice that our site is full of the top mixtapes out and not any useless junk to ruin your browsing experience. 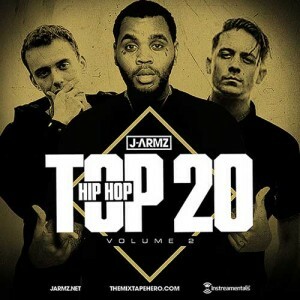 Since J. Armz has such a new and diverse selection of music on his releases, the next review is from the series titled “Hip Hop Top 20”. Volume 2 also plays you a new selection of free music downloads rather than the same usual tracks that DJs put on their compilations. As stated before, these are different, but are still a great listen for your ears. Emcees to look for on this drop include Jay Electronica, Ali Vegas, Westside Gunn, Action Bronson, Logic, Jesse Boykins III, Supreme Cerebral, Planet Asia, Aesop Rock, Logic, Nick Grant, Cane, Termanology, G-Eazy, iSHi, Flume, Vince Staples, and other hip hop performers. His mixtapes contain a refreshing playlist for everyone to enjoy. 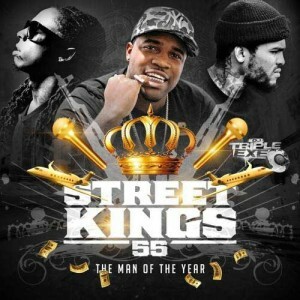 UK’s favorite, DJ Triple Exe, is back to showcase the 55th installment in the franchise called “Street Kings”. This one is sub-titled “The Man Of The Year” and gives you a 26 song track list. Music acts making an appearance on this edition such as Dave East, Lil Wayne, Manolo Rose, French Montana, Slim Thug, Azealia Banks, Monty, Vado, T.I., Rico Richie, Kanye West, Lil Kim, Travi$ Scott, Desiinger, Yo Gotti, Ca$h Out, Juicy J, and other top industry recording artists. You can also check the site for a new edition in his “The Passion Of R&B” collection for those that like slow jams. 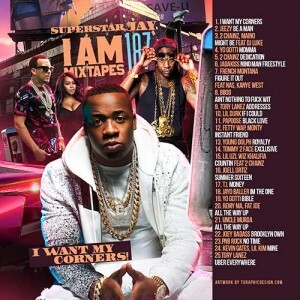 Superstar Jay brings you another gem in the franchise labeled “I Am Mixtapes”. This one could be called the murder number, being that it is #187 in the collection. Many of his releases are sub-titled “I Want My Corners”, so that’s nothing new. Look for performances on this drop from Jeezy, 2 Chainz, Maino, DJ Luke Nasty, Lil Durk, Papoose, Nino Man, Nas, Fetty Wap, Young Dolph, Tommy 2 Face, Jayo Balla, Tory Lanez, Remy Ma, Joell Ortiz, Lil Uzi Vert, B.B.O.D., and others on this 25 song playlist. Wu-Tang affiliated, DJ Flipcyide, drops off the first installment in the music download library titled “The Wu Files”. Hell Razah hosts this product with appearances by Killah Priest, Sheek Louch, Styles P, Raekwon, Timbo King, Kabaka Pyramid, Verbal Pimp, Vendetta Kingz, 4th Disciple, Inspectah Deck, Dom Pachino, Blak Madeen, Wu Lords, Heaven Razah, and much more. Be sure to listen to this product the whole way through because you will not wanna miss all the fire talent on this release. DJ Reddy Rell and DJ Iceberg return to the game with another edition to add to their Hip Hop TXL mixtapes. 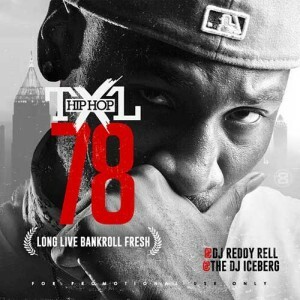 Volume 78 is a tribute to the recently fallen soldier Bankroll Fresh. These releases almost always contain over 2 hours of the hottest funk out on the streets with this one being no exception. Rappers on this installment include Dukwon, Drebo, T.y., Domo Genesis, Wiz Khalifa, Juicy J, Trouble, Big Bank Black, J.U.S.T.I.C.E. League, Lil Yachty, Coca Vango, Pusha T, Future, Famous Dex, Tink, Keri Hilson, Birdman, Juvenile, Lu Cruise, G Herbo, Kap G, and a ton of other emcees on this drop. Finally, N.O.R.E. 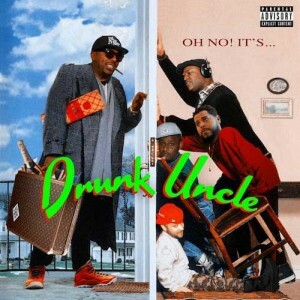 which stands for Niggaz On a Run Eattin, is back with an official music download project labeled “Drunk Uncle”. That probably fits him well as he is a well-known alcoholic. This product received the help needed with guest features by Royal Flush, Nature, Kool G Rap, Noah, Jadakiss, Capone, T-Pain, Killer Mike, Rick Ross, Cityboy Dee, Ty Dolla $ign, Lex Lavoe, A$AP Ferg, and others. We have a mobile app coming soon, so all the Apple users can download mp3 files on their mobile devices. Android users have no need to worry as downloading has always been allowed with a mobile browser, but you also will be able to install this app for your listening pleasure. Why people choose to use Apple, we will never know.